Arrive Dibrugarh airport. On arrival, you will be met by our representative and transferred to the hotel. Dibrugarh, situated on the banks of mighty river Brahmaputra, is the main tea town of Upper Assam and a main commercial place with historic importance. Lunch and then visit a tea garden for which Assam is world famous. Know about the process of manufacturing of tea by visiting a tea factory. Overnight at the hotel. This morning visit Joypore rain forest, explore the flora & fauna. It is a spectacular to see the forest during the monsoon with its diverse wildlife. Then proceed to the Nam-Phake village where a community named Tye-Phake resides. It is said that about 1000 years back this community moved from Thailand and settled down here. After lunch visit the Monastery to view the life style of these local people. Drive back to Dibrugarh. Overnight at the hotel. Today drive to Mon (190 km/ 6 hours). On the way visit Sivasagar, the ancient capital town of the Ahom kingdom, who ruled Assam at a stretch of 600 years before the reign of British. The ancient temples and monuments like Ranghar, Talatalghar, Siva Dol can be seen. Thereafter, proceed to Mon On arrival, check-in at the hotel. Dinner and overnight at the hotel. After having breakfast depart for Longwa (42 Km/ 3 hrs). Enroute stop at the bank of river Tapi / Taphi. The beautiful Longwa village is ranked among the biggest villages in Mon. As the village straddles the international boundary line, one half of the Angh's house falls within the Indian territory and the other half in Myanmar . Here, literally, the totem pillar that juts out above the roof divides the house into two countries and the Angh takes his meals in India and sleeps in Myanmar. The angh and the village council chairman administers the whole village. The village has also become a major trade point between India and Myanmar. Thereafter drive back to Mon. On the way, visit some other villages. Dinner and overnight at the hotel. Morning after breakfast proceed to Jorhat, an important tea town of Assam. On arrival check-in at the hotel. Afternoon explore the town. Evening at leisure. Overnight at the hotel. Morning proceed to Kohima (215 km/ 5 hours), the capital of Nagaland. On arrival, check in at hotel. Afternoon visit the local market. Overnight at the hotel. This morning sightseeing of Kohima. Visit the Kohima War Cemetery, which was constructed in memory of the officers and men who made the supreme sacrifice during World War II. It is serene, beautifully located and superbly maintained (Sunday closed). Also visit the Catholic Cathedral at Aradurah hill, which is an important landmark in Kohima. It is the largest Cathedral in the whole of North East. Its quiet and serene ambience is conducive for meditation and prayer. It has a blend of the indigenous and modern architectural styles. Visit the State Museum, which show cases in dioramas, some of the most fascinating aspects of Naga tribal life in all its variety and wealth of tradition. Housed here is ancestral weaponry, carved gateposts, status pillars that record Feats of Merit and traditional Naga costumes. Overnight at the hotel. Today after breakfast drive to Imphal (145 km/ 4 hours). On arrival, transfer to hotel. 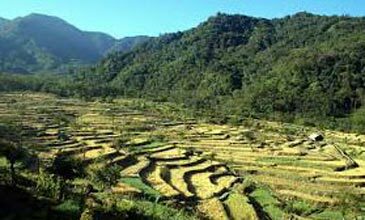 Imphal, the tiny capital city of the northeastern state of Manipur, is an ideal destination off the beaten track. The landscape of green-blue hills, lush fields and low clouds is like an exquisite painting. Afternoon visit the WW II cemetery and Ima Bazaar. This market is run by women selling everything from hand-woven shawls, vessels, mugs and mats to fish, lotus, oranges and orange-flavored honey. Overnight at the hotel. This morning drive to Moirang to visit the INA memorial. On the way visit Red hill and the Japanese memorial built in memory of all the soldiers who lost their life in the battle of Imphal during WWII. 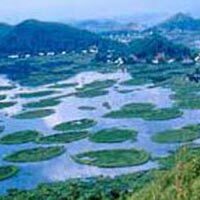 Thereafter visit the loktak lake, the biggest fresh water lake in Northeast India. Thereafter drive back to Imphal and visiting the Govindaji temple, the Manipur State Museum which has a rich collection of Manipuri costumes, war implements, historical documents and relics, and gives you a sample of the state's history (Monday closed). Also visit Kangla Fort. Overnight at the hotel. This morning transfer to the airport for your flight back home.